Boston and Providence, Rhode Island, rank in the top 10 snobbiest cities in the United States, according to a new list. 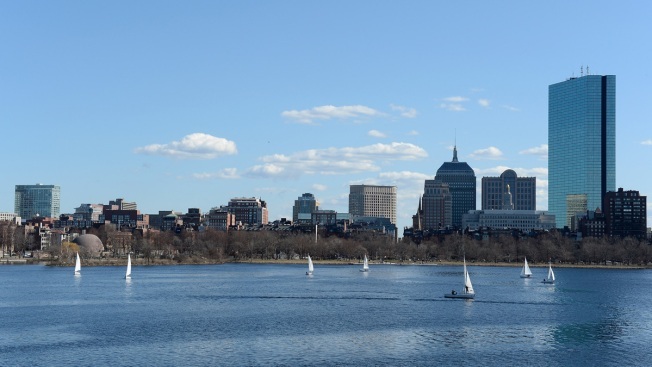 A general view of the Charles River Boat Club and the city of Boston skyline on March 30, 2013 in Boston. When walking through the streets of Boston, do you sense an air of superiority? According to a new list in "Travel + Leisure," Boston is the fifth snobbiest city in the U.S.
"In this elite university town, anyone can browse the aisles at the Harvard Book Store, or Schoenhof's Foreign Books in Cambridge," reads the explanation. "And you can test your wits while hanging with MIT's trivia-night types at Area Four in Kendall Square ... Readers may have encountered another kind of attitude in Boston, when they got behind the wheel: Bostonians ranked near the bottom for their driving." The food and drink selections at Area Four were also cited as an example of the metropolitan area's snobbiness. But Boston wasn't the only New England city near the top of the list. Providence, Rhode Island, ranked 10th. "The Rhode Island capital may have sidled into the top 10 thanks to its Ivy League affiliation with Brown, or due to the humbling tech savvy and avant-garde vibes of locals," wrote the magazine. "But Providence denizens might also admit to a certain well-deserved provinciality. After all, why bother driving to a whole other state (even if it's a pretty short trip) when you can find everything you need at home?" Unsurprisingly, New York was ranked first. The Big Apple was followed by Miami, Los Angeles and Washington.